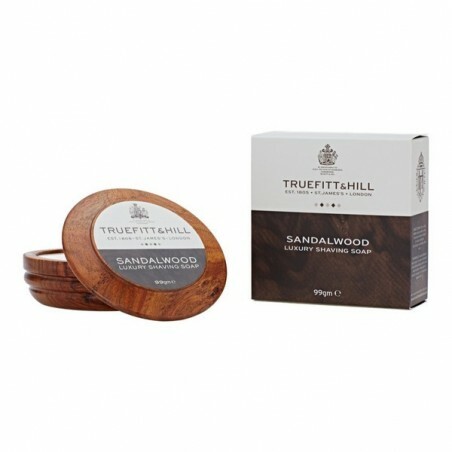 Truefitt & Hill Sandalwood Shaving Soap & Wooden Bowl 99gr.A sophisticated fragrance which is as modern as it is classic. 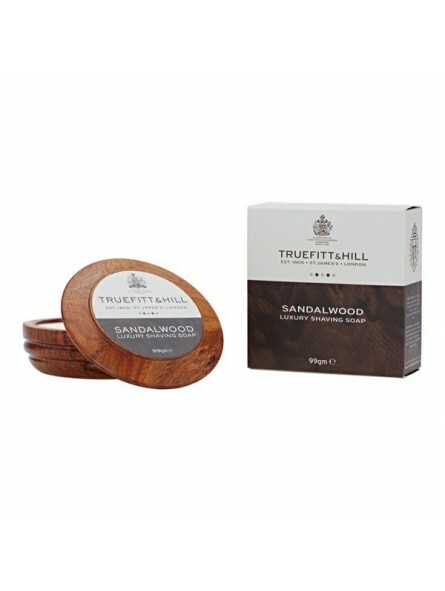 It is firmly anchored with soft base notes of sandalwood, tonka and cedarwood, while delicate middle accords of lavender, thyme and jasmine blend easily with fruity twists of pineapple and melon to add a sparkle of freshness to this vibrant scent. Top notes of lemon and bergamot give a perfect finishing touch. the scent will linger on your skin all day.